New for 2016 is the Centragy Shrapnel AL. The Centragy Shrapnel AL is an expandable aluminum blade broadhead that is gear for small game and birds. 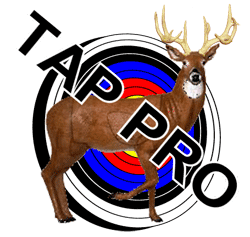 This product was created to solve the irritating and expensive problem of losing arrows due to passthroughs experienced in small game hunting. Upon impact, the 4 aluminum “talons” of the Shrapnel AL deploy to create a devastating bludgeoning that increases harvest percentages and arrow recovery. Currently in the pre-production stage, the Centragy Shrapnel AL should available this April/May at wholesalers such as Lancaster or at Centragy’s website. For more information, visit their website at http://www.centragy.com/ in late February. New for 2016 are the Dead Ringer Just Nasty and Dead Ringer Switch Back mechanical broadheads. The Dead Ringer Just Nasty is a high kinetic energy mechanical broadhead that delivers a 1 inch cut on contact and then deploys to a devastating 3 3/4 inch finish cut. As the name reflects, this is just nasty! 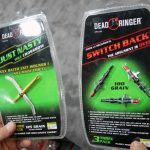 Dead Ringer does recommend that the Just Nasty broadhead to be used only with high kinetic energy crossbows. New for 2016 are the American made Grim Reaper Carni-four and Grim Reaper Hades Pro broadheads. The Grim Reaper Carni-four broadhead features 4 blades (1 1/2 inch x 1 1/4 inch) that deploy in two stages drastically improving fluent passthroughs on big game animals. The Grim Reaper Carni-four broadhead has a bone crushing steel tip inline with an aluminum ferrule that allows great performance while maintaining necessary weight. This impressive head from Grim Reaper Broadheads delivers a 2 3/4 inch linear cut that should greatly increase big game recovery rates in 2016! The Grim Reaper Hades Pro is Grim Reaper’s flagship fixed blade broadhead for 2016. The Grim Reaper Hades Pro is offered with either 3 or 4 blades, delivers a cut diameter of 1 3/16 inches and is offered in 100, 125 and 150 grain weights. The 3 blade model has a linear cut of 1.78 inches while the 4 blade model comes in at 2.38 inches. 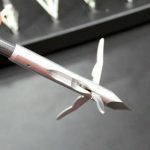 The razor sharp durable Pro Tip head of these broadheads as well as the blades, which are also sharpened on the back side, should make this broadhead a front runner in the fixed blade broadhead category in 2016. 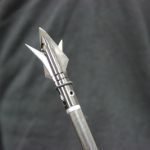 For more information visit http://www.grimreaperbroadheads.com/. New for 2016 is one of the most “out of the box” designs we ran across at the ATA Show, the Innerloc Shape Shifter. 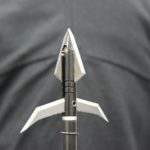 This is one broadhead that can guarantee it flies like a broadhead because in flight, it basically is one. The Innerloc Shape Shifter is a mechanical 3 bladed broadhead that nestles inside a brittle clear plastic cover. The cover is aerodynamic like a field point and shatters upon impact which allows the Innerloc Shape Shifter’s razor sharp mechanical blades to deploy. This new broadhead technology of the Innerloc Shape Shifter was great to see and may be a factor in it becoming one of the best new broadheads of 2016. For the bowfishing market, Innerloc released the new Innerloc Grapid Point. 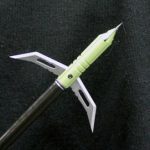 The Grapid bowfishing point features a revolutionary head that allows the point to be configured for shooting or removal. After the fish has been shot, simply rotate the point tip counterclockwise and the barbs recess tight to the point’s ferrule. This allows for smooth, friction free arrow removal. For more information, visit their website at http://www.innerloc.com/. New for 2016 is the Muzzy Trocar Switch and the Muzzy Trocar HB (hybrid broadhead). The Muzzy Trocar Switch is an adjustable fixed blade broadhead that allows hunters to configure the head with a 1 inch, 1 1/8 inch, or 1 1/4 inch cutting diameter. The Muzzy Trocar switch features a solid steel ferrule and the bone crushing Trocar tip. The Trocar Switch’s adjustability is supposed to provide complete tunability to any setup. The Muzzy Trocar HB really caught our eye. This hybrid broadhead functions as a fixed blade and a mechanical broadhead. The mechanical blades of the Muzzy Trocar HB were designed with deflection prevention in mind. If one of the blades hits a rib bone, it will retract until the obstacle is clear then redeploy. 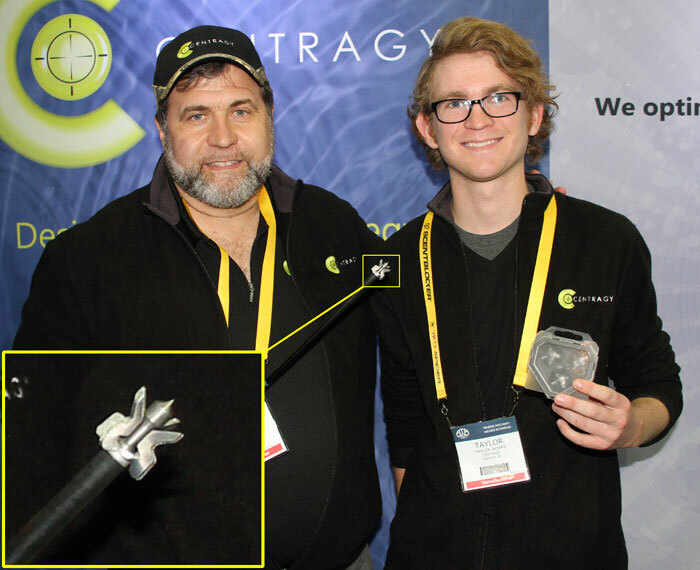 This unique design will most likely put it in the running for best new broadhead of 2016. 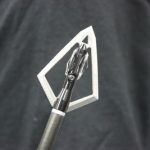 For more information on Muzzy Broadheads, visit their website at http://www.muzzy.com/. New from New Archery Products in 2016 is the NAP Hammerknocker. 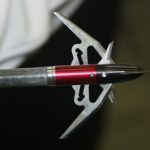 The NAP Hammerknocker broadhead is a mid shaft deploying mechanical 3 blade broadhead. The Hammerknocker utilizes a plunger style blade deploying tip at the end of a revolutionary carbon ferrule. The NAP Hammerknocker’s carbon fiber composite ferrule aerodynamically conceals the broadhead’s blades until the moment of impact. This feature ensures that the Hammerknocker will fly like a fieldpoint while delivering the destruction of a 3 bladed 2 inch diameter cut. 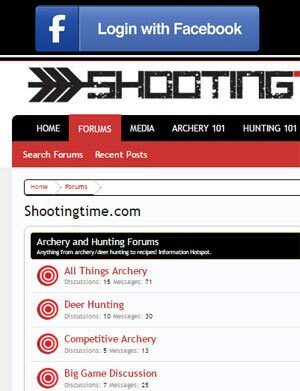 For more information, visit their website at http://www.newarchery.com/. New from QAD in 2016 is the QAD Exodus broadhead. Designed to match the length of most field points, the QAD Exodus is designed for extreme accuracy and durability. The Exodus’s 100% stainless steel blades were designed to cut at a steep angle which increases penetration. The 0.040 inch thick blades are some of the toughest on the market and should hold up very well while hunting the toughest big game animals. These bone crushing accurate heads will be in the running for the best new broadhead of 2016. For more information, visit their website at http://www.qadinc.com/. 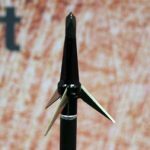 One of the most unique broadheads of the 2016 ATA Show was the Rexpid Nuri. The Rexpid Nuri features a single blade cutting blade that delivers an 1 1/8 inch cut. In addition to its solid blade desing, the Rexpid Nuri also features two rotary wing blades that create a devastating wound channel. Also available from Rexpid Broadheads is the Big III and the Rexpid III. 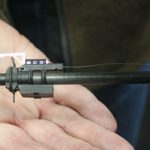 The Big III is a 3 bladed fixed broadhead that delivers a 1 1/8 inch diameter cut while their mechanical broadhead, the Rexpid III delivers a 3 bladed 1 7/16 inch cut. For more information, visit their website at http://www.rexpid.com/. Available from Savora Broadheads in 2016 is the DelMastro LPV100, the DelMastro HPV100, and the VanDyke LPS100. The 1 inch diameter DelMastro LPV100 features a “tough as nails” razor sharp bone crushing tip and three 0.030 inch thick blades attached to a fluted steel ferrule. The DelMastro HPV 100 has the same features of the LPV but has a larger cutting diameter of 1 3/16 inches. The VanDyke LPS100 has the same characteristics of the DelMastro LPV100 but features solid blades. For more information, visit their website at http://savorabroadheads.com/. In addition to Swhacker Broadhead’s popular mechanical broadhead lineup is the new for 2016 Swhacker Fixed Blade. The solid blades of the Swhacker Fixed Blade have a secondary angle that’s bent on the blades to help spin and stabilize the arrow in flight as well as increasing penetration. 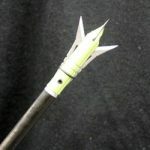 For more information on Swhacker Broadheads, visit their website at http://www.swhacker.com/. Available from Wasp Archery in 2016 are the Wasp Dueler and the Wasp Drone broadheads. The Wasp Dueler is a new 2 blade mechanical broadhead that allows hunters to choose what diameter cut they would like to deliver. With a simple twist of their “Select-A-Cut” washer, the cutting diameter can be adjusted from 1.5 inches to 2 inches. For crossbow use exceeding 400 FPS, just simply install the crossbow o-ring and you’re good to go! The Wasp Drone is a tough stainless steel fixed blade that features an impressive bone crushing tip. The hardened stainless steel tip, solid steel ferrule, and legendary Wasp blades provide a reduced surface which allow for improved accuracy and penetration. 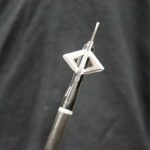 For more information on Wasp Archery broadheads, visit their website at https://www.wasparchery.com. 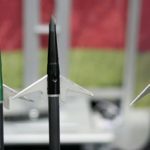 While we didn’t cover all the manufacturers, we hope we did open your eyes to some of the new and innovative products on the broadhead market. We hope you have a better idea of which broadheads might be the best new broadheads of 2016. Good luck in your broadhead selection and as always, happy hunting! 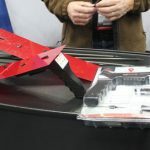 If you wanted to browse a wide variety of broadheads for 2015, the ATA Show in Indianapolis, Indiana was the place to be. We saw market veterans there like NAP and Muzzy showcasing their goods. We also visited with newcomers like Xecutioner Broadheads and other less known companies who were trying to break onto the broadhead scene. 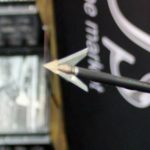 Some established companies made little tweeks to improve their products for 2015, while some new companies were clinging to their sometimes outrageously designed broadheads. There was even Game Vector Recovery System who developed an “attachment” that can help you track downed game. The gadgets were plentiful for sure. 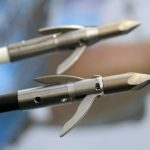 What is the best mechanical broadhead for 2015? If you are asking me personally, based on the ones I have used during the last couple of years, I’d have to go with Swhacker and Rage broadheads. They both have done well for us but who knows with new heads made by companies like Xecutioner and others. We will be able to comment more on this after we start our 2015 broadhead tests. What is the best fixed blade broadhead for 2015? I hate to admit it but it has been a while since I have shot a fixed blade broadhead. Back in the day, I cut my teeth on Thunderheads by NAP and they are still a damn good broadhead. Muzzy was also another very dependable head with a legendary chisel tip that set the standard in bone crushing. Todays archers are after optimal arrow flight. For the best results in flight, some archers choose to go with heads like slick tricks or muzzy trocars. Both of these heads have a very small profile design which allows the arrow to correct itself in flight quickly due to the small blade design. They don’t plane in the wind like some broadheads with more surface area so they tend to fly more like a field point on most bows. 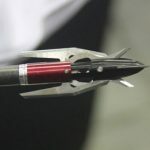 Our thoughts on broadhead selection is that if your bow is super-tuned like we describe in our bow tuning timeline, you can shoot any head and should have good results. If your bow is out of tune or your fixed blade broadheads aren’t hitting where your field points are, we suggest mechanicals or smaller profile broadheads like the slick tricks or the muzzy trocars. Both options with help to stabilize the arrow in flight and not plane off like some large heads. Whatever you choose for 2015, just keep in mind, that proper form and a properly tuned bow are the two most important factors when it comes to accuracy. Here are some of the broadheads that we came across at the ATA Show 2015. Swhacker Broadheads will indeed be one of the broadheads we shoot during 2015. Their blade opening technology ensures that scalpel sharp blades will be slashing through the innards; not dull ones that just fought to get through the ribcage or shoulder. They came up with models that are design for bows with low kinetic energy (short draw and women). They also delivered on a 3 blade design. 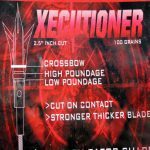 We are not sure how long Xecutioner has been out there but they have some pretty gnarly broadhead designs. Their patented adjustable kinetic setting on its flagship mechanical is very versatile by allow the archery to use anything from a crossbow to a low poundage bow without worrying about the blades not opening. Xecutioner Broadheads also offer fixed blade broadheads that look like they may deliver some serious carnage while minimizing the blade surface to wind ratio. We are really looking forward to putting these broadheads to the test this year! Anyone who has shot and trailed a deer probably may have thought of a concept similar to the Game Vector Recovery System. Its really Inspector Gadget meets bowhunting without a doubt. 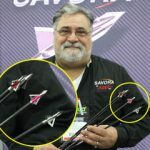 Although as interesting as it is, we have to wonder what the added weight and profile does to the arrow in flight. The design is anything but concentric. If anyone has any experience with this head, let us know how it performed! The friendly people over at AMS showed us their favorite bowfishing heads for 2015. These super tough chisel tipped heads not only have ultra strong barbs, but the barbs can be released by unscrewing the chisel point or spinning the arrow shaft counterclockwise. Withdrawing your arrow from a fish has never been so easy! The CrossPoint Detonator Broadhead is actually locked in place until its shot. The shot “engages” this broadhead via a brilliantly designed spring system and deploys upon contact with the animal. 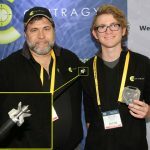 I spoke with the manufacturer about certain mechanical broadheads redirecting and deflecting off trajectory but they say their won’t (as much). This is due to the fact that they have a catching ‘punch’ blade that is supposed to clear the way for the trailing life enders. Really cool design on these. 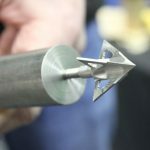 Tooth of the Arrow broadheads are machined out of one piece of steel and claim to have superior strength and quality over the competition. 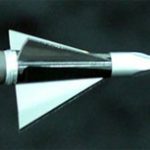 The broadhead looks similar in size to the Muzzy trocar or the Slick Trick, so it should allow for arrow stabilization quickly after a shot. 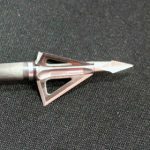 We have not tested this broadhead yet, but from our initial glances at it, it looks like it would be a good performer.